What is more Fall than candy corn? 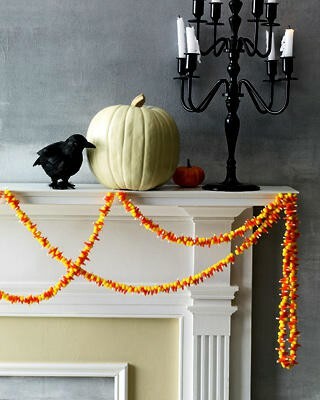 That waxy little candy just has to be eaten this time of year. I made the guys above (they are tiny...only about 3" tall) last week and I love the little faces! 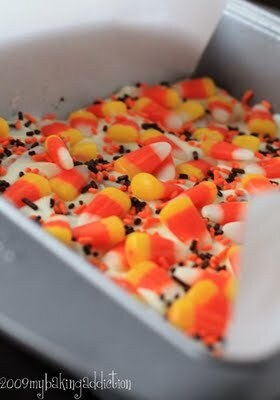 I also made these treats with actual candy corn...salty, sweet, and needing to get them out of my house immediately! So good and more than a little addicting! 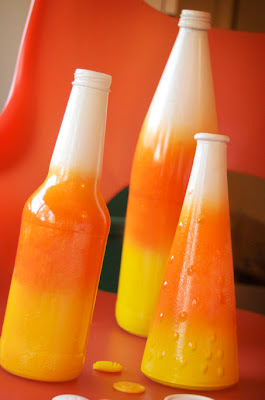 I've seen so many cute candy corn crafts and treats that I thought I'd share just a few here in a littel candy corn round-up. Those little guys at the top are just awesome. Love! 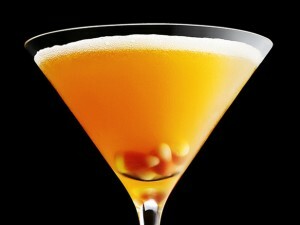 Candy Corn Martini? Hmmm, intriguing. AHHHH...my love in life! A whole post devoted to you :) I think I love all of these equally! Are these on international sales? LOL! 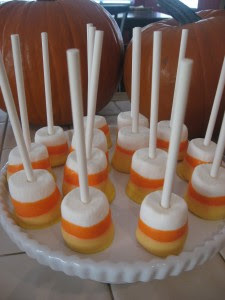 I adore candy corn! I'll have to try your little treats, sweet and salty? Yes please! I personally prefer the Candy Corn Martinis by Fashionably Bombed over Posh Mommy's since they don't involve an egg white. Oh my GOODNESS. Those little candy corns at the top are ridiculously cute. Lots of cuteness here! Thanks for the sweet comment!